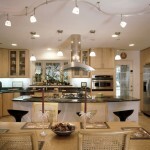 At One-Stop Remodeling, we understand that the remodeling process can be intimidating. That’s why we work closely with you throughout your project, keeping you informed every step of the way. We start with a complimentary in-home meeting so we can clearly understand your goals and budget. Once these are established, our team of professional craftsmen keep you updated through design, planning, construction and completion. Since 1988, we’ve built a reputation for superior design and workmanship, guaranteed by a 3-year warranty. Contact us today to learn how we can make your remodeling process a success. Preconstruction client meeting with Project Manager and review of “rules of the road” as laid out in the Project Field Binder.